We hope your G Plan furniture will provide years of enjoyment and relaxation. Find out how to operate your furniture and maintain its enduring comfort and style with our Owner's Guide. 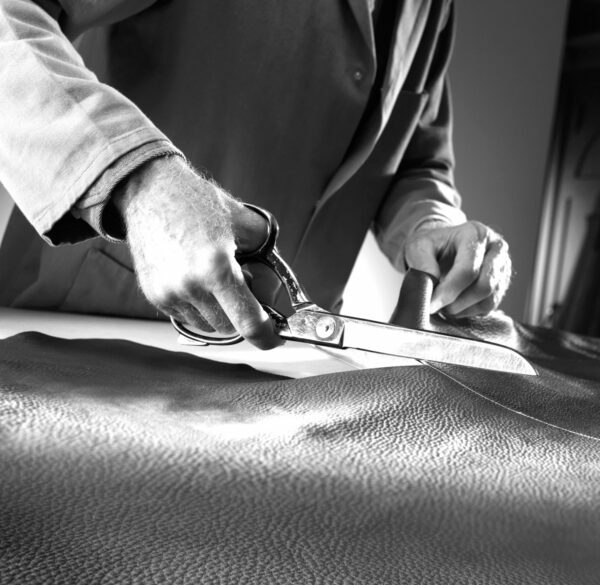 The Owner’s Guide supplied with your furniture contains details about how to care for your upholstery. Read the G Plan Owner’s Guide online here. Due to the variety of fibre and fabric constructions used, G Plan recommends you use a professional cleaning company for your sofa. Alternatively you can seek advice from the store where you purchased your furniture. Covers should never be machine washed or dry cleaned by a launderette as this can damage the fire retardant treatments, fade colours and affect the finish of the fabrics. Where zips are fitted, this is often to assist manufacture and does not necessarily mean the cover is removable for cleaning. For information on Aqua Clean Fabrics, click here. Lightly vacuum upholstery once a week to prevent dust build up. Direct sunlight can cause fading, so try to protect upholstery from direct sunlight where possible. Avoid sitting on the arms and try to prevent children from jumping on sofas as it can damage the sofa and cushions. Avoid sitting on the sofa with heavily soiled or non-colour fast clothes and avoid leaving newspapers on the sofa as the ink can stain. 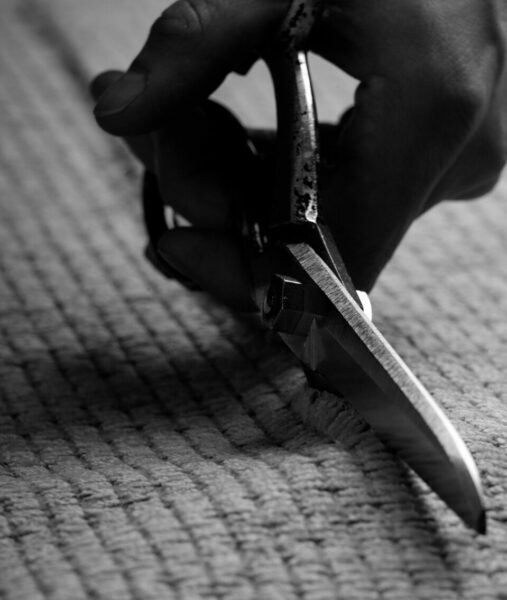 Care should be taken with sharp-edged objects, trim off any loose threads with sharp scissors. In the event of a spillage, prompt action can reduce the likelihood of permanent staining. Remove as much of the spillage as possible with a spoon or blunt palette knife. Work towards the middle of the spillage to prevent spreading the stain. Soak up liquids with a clean cloth, towel or kitchen paper without rubbing the stain. Blot up as much of the spillage using a damp cloth (not wet) with warm clean water, again without rubbing. Dust furniture with a soft brush weekly and wipe with a damp cloth to remove dust. Do not use polishes, detergents, solvents, white spirit or stain removers as they may damage the leather. Clean leather quarterly by wiping over with lukewarm solution of pure soaping agent. Don’t over wet the leather when cleaning. With a G Plan manual recliner you can sit back and relax in total comfort. By using a combination of a balanced mechanism and your body weight, you can recline the sofa or chair to relax and then return it to the upright position with ease. Sit well back in the seat to ensure your body weight is in the correct position to operate the manual mechanism. To open the footrest, pull the release catch on the outside arm of the sofa/chair. Ensure the release catch returns to its rest position to allow the recliner to return to the closed position. Place your hands on top of the arm(s) of the chair/sofa and push back against the backrest. To return the seat to an upright position sit up so that all your weight is on the seat cushion. Then ensure the release catch is in the closed position and push down and back against the footrest with your heels until it locks in place. A G Plan power recliner makes it even easier to enjoy complete comfort. Using an electric motor and two buttons, it’s the simple way to find the most relaxing position for you. Dependent on model, buttons may be located on the outside or inside of the arm, between the seat cushion and inside arm or between two seat cushions (where the recliner section is not located next to an arm). Touch-sensitive buttons are featured on selected models and only require light contact with part of the button to operate. Plug in the lead from the transformer unit to an appropriate domestic mains electricity supply, ensuring the cable is not routed where it can become trapped by the mechanism. To open the footrest, press and hold the open button. By continuing to press the open button, the back will move to the recline position. To return the back to the upright position and close the footrest, simply press and hold the close button. Sometimes we could all do with a lift. Our stylish range of Rise & Recline chairs mean that with a simple press of a button, Elevate will raise you safely to the perfect height for standing up, then gently lower you comfortably down. Our Elevate Rise & Recline chairs are designed to assist people with arthritis, rheumatism and other disabilities. The mechanism will lower people from a near standing position to seated, to full horizontal and back to near standing, making access to the chair effortless. And with a range of designs, colours, fabrics and leathers, your perfect chair is waiting for you. Complete with a ten year frame and spring guarantee and seven year mechanism, motor and handset guarantee, you really can rest easy. Featuring sumptuous G Plan comfort across all seven Elevate designs, plus a choice of fabrics and leathers, it’s where practicality meets style. All Elevate Rise & Recline chairs come with Power Assist Technology with dual motors which operates the back and the footrest independently. With ergonomically designed handsets and smooth operation of G Plan’s recliners, complete comfort is in your hands. Option 1 enables you to leave the rechargeable power pack permanently connected to the mains supply (the power pack connects between the recliner unit and the transformer). This will provide you with an emergency battery backup power supply in the event of mains power supply failure. Used in this way, your power pack will be kept continually charged. Option 2 enables you to fully charge the power pack and then use it to power the recliner unit (for approximately 20 to 30 cycles before it needs recharging) without being connected to the mains power supply. The following instructions apply if you are using the rechargeable power pack remotely from the mains. For the initial charge or if recharging after a long period of non-use please charge for 10-15 hours to achieve full capacity. Subsequent recharging is necessary as soon as the power pack has insufficient strength to power the unit. When the charge is low on your pack, an audible warning will be heard. Connect the power pack to the transformer. When charging is complete there is an internal installation which avoids overloading the power pack. To help preserve the life of your power pack, it should be recharged on a weekly basis if the power pack is used frequently on a daily basis. Where the pack is used occasionally, say, a few times a week, the power pack should be recharged on a monthly basis, even if the audible warning of ‘low charge’ is not heard. Before using the power pack, please carefully read the following instructions. Do not use extension cables or use the unit with a damaged cable or plug. Damaged parts have to be replaced immediately. Contact your upholstery stockist if any parts become damaged. All rechargeable batteries dissipate energy over a period of time even if they are not used. It is recommended that they are fully recharged at least every 4 weeks, or when a noticeable drop in power or operation of the recliner unit is noticed. Should you need to charge a cold battery (approx 5°C or less) in a warm room, leave the battery for at least one hour inside the room and charge only after the battery has been warmed to room temperature (otherwise the battery may not fully recharge). Do not charge the power pack in temperatures below 0°C. The transformer and power pack are specially coordinated. The transformer MUST NOT be used for any other equipment or tools. NEVER charge the power pack with another transformer/charging unit other than the one supplied. The transformer and power pack are not designed for external use and must not be used in damp places. On separating the transformer from the wall socket please always grasp the plug to avoid damage to the cables or cable connections. Before cleaning the transformer/power pack, disconnect from the power supply and do not immerse in water. Do not store the transformer and power pack in rooms with a temperature of more than 35°C or less than 0°C. Never burn exhausted power packs, they may explode. Avoid mishandling and damage to the cable. Keep it away from extreme heat, naked flames and sharp implements. Always recharge the power pack in a well ventilated room. Never cover the transformer or power pack with textiles or other material during the charging process. Ensure that the transformer cable is routed to avoid causing a trip hazard. We recommend that it is put away when not in use. It should never be left under the recliner unit as it can be damaged by the mechanism. When used according to these instructions and guidelines the rechargeable power pack is supported with a 2 year guarantee. There are some sensible precautions that we would advise for all of our recliner sofas and chairs. Ensure there is adequate room behind and in front of the chair or sofa to allow the back to recline and the footrest to open. Standard recliners require 51mm/2″. Elevate single motor chairs require 406mm/16″. Elevate dual motor chairs require 432mm/17″. Ensure the space underneath the footrest is kept clear of objects when in the open position, to ensure it can then close without obstruction. Keep hands and fingers clear of the mechanism when operating the controls. Always ensure your recliner furniture is fully closed before attempting to get up / reach out of the furniture. Ensure children or pets are not playing near to or lying in the way when the mechanism is operated. Prevent children from playing on the furniture or with the controls. Don’t allow anyone to sit or stand on the footrest when it is open as it could tip or damage your recliner. Close the footrest when not using the sofa or chair to prevent people tripping over it. In the case of power recliners, ensure the cable between the transformer and the plug is kept clear of the mechanism under the chair.